Sesame is considered the oldest historic oil seed in the world. Today it is primarily grown in the Sudan, Mexico, India, China and Burma. Native, non-heated oil from unroasted seeds is best suited for use in cosmetics, but the mildly roasted variant is consistently used in Europe. The sesame oil contains powerful antioxidants, the effects of which are enhanced by the roasting process. 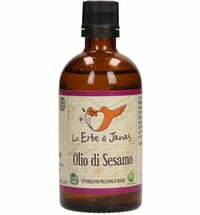 Sesame oil has a long tradition as a massage oil and is used internally and externally for detox. It penetrates into the intercellular spaces between the skin layers and is an excellent carrier oil for other drugs. The high content of phytosterols and linoleic acid also helps regenerate the barrier layer of the outer layer of skin (stratum corneum). 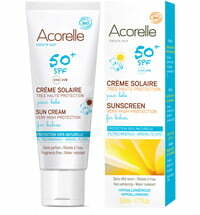 It also has a slight protective effect light with an approximate SPF of 1.2. 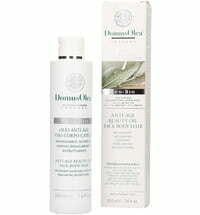 Since sesame oil improves microcirculation is it good for maintaining pale skin or skin with circulation problems. Caution is advised for people with allergies because cross-reactions with some nuts or soy can happen.